The Anchoring Device is a top module developed for the MiR100 and MIR200 robots. The functioning principle of the device is to anchor to a specific shelf with caster wheels and transfer weight from the load to the MiR robot. 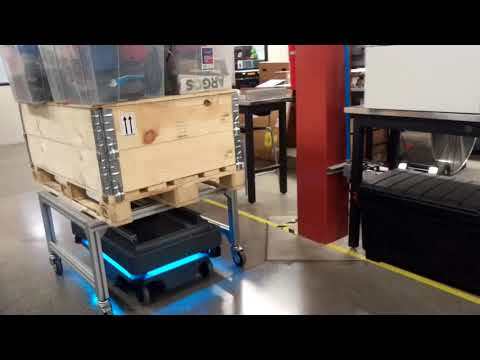 The robot will be able to dock, transport up to 300 kg. and disengage from the load as the application requires.